The numbers are beginning to show that DraftKings’ metamorphosis from a daily fantasy sports operator to sportsbook-first company is moving at Ludicrous Speed. The DFS aspect of the company isn’t going anywhere, but the revenue, and obviously growth potential in the U.S. is in legal sports betting. At the ICE Sports Betting USA conference in Manhattan on Wednesday, DraftKings co-founder and CEO Jason Robins told Darren Rovell (who himself switched jerseys from ESPN to Action Network mid-conference) that 20 percent of the company’s business is currently being generated through sports betting. In New Jersey, where the DraftKings Sportsbook was first to market in the state in August, Robins said sports betting represents 80 percent of the company’s revenue. In other words, the sports betting revenue being generated in just one state*, roughly four months post-launch, is currently accounting for 20 percent of the company’s overall revenue coming nationwide via daily fantasy sports contests. It should come as no surprise that DraftKings has pushed all-in on sports betting. Robins expressed long before the U.S. Supreme Court eliminated the federal ban on sports wagering in May that the company was exploring that opportunity. 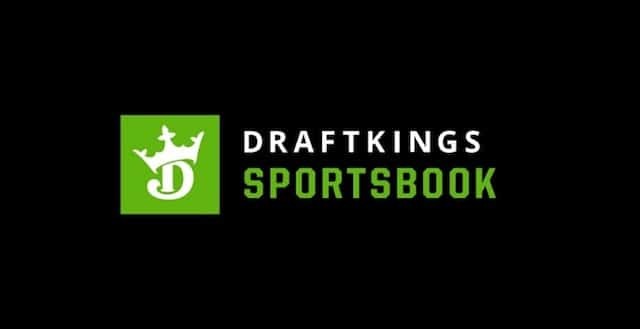 The New Jersey revenue reports show that so far DraftKings is whipping the competition amongst online sportsbooks in the state: In October with about $5 million revenue, DK accounted for roughly half of all the hold across all licensed sportsbooks. 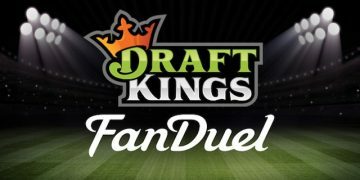 In September, when the bettors didn’t fare as well, DraftKings’ revenue reached about $8.5 million. DFS revenue will not be a very high bar to ultimately clear: industry-wide DFS revenue, nationally, across the fiscal year ending in March 2018 was only about $335 million. There is month-to-month volatility with bookmaking, of course. And of course, the company is not yet profitable, Robins acknowledged to Rovell. But DraftKings is positioned on the U.S. sports betting map right now better than most or all would have predicted (better than we originally predicted). Among other deals in place or percolating, it has an agreement to enter the New York market via del Lago Resort & Casino as soon as New York lawmakers decide they want to keep residents from driving to New Jersey, Pennsylvania, or betting with offshore sportsbooks. Robins also spoke about branding. DraftKings has very clearly staked its claim for recreational bettors and so far, so good. Professional and intermediate bettors find this comical, or insulting, easy Twitter fodder. Recreational bettors may find it helpful. Several self-identified professional sports bettors have shared images showing their limits chopped down from thousands to a mere $10. That’s not the Nevada way. And although DraftKings has poached some high-profile Nevada sports betting executives, the Nevada way may not govern. Another complaint: DraftKings does not post or disclose betting limits, either, at least not to our knowledge. DraftKings is rolling out creative products like its “pools” that offer the opportunity to bet a little to win a lot. Music to Joe Sport Bettors’ ears. The sportsbook has also faced a criticism over its spread and moneyline pricing. The moneyline pricing remains fairly juicy compared to the in-state competition. There’s extra cents here and there on football spreads, too. Have recreational bettors noticed? Do they care? Keep in mind, the sportsbook’s pricing on teasers and parlays is excellent compared to the competition; incidentally the house generally mops up on teasers and parlays at about a 20 percent hold. Robins told Rovell that “the casual bettor tends to stick with a brand,” while more sophisticated bettors may go shopping elsewhere for better prices. Think of your friend who only dabbles occasionally in sports betting. Knows sports, doesn’t really know much about betting. He wants to bet $20 on Duke basketball to beat North Carolina. The moneyline is Duke -150 at DraftKings. You tell him at playMGM it’s -140. Your buddy already has the DraftKings app on his phone. What are the odds he’s going to download MGM’s app, register and open a second (or fifth) account to price/line shop for what is very obviously a wise financial decision? Some folks will, a lot won’t. So far, the formula in New Jersey appears to be working. Come 2019, DraftKings Sportsbook will be calling out to bettors in other states. The casual ones, mainly. *In November, DK began operating a brick-and-mortar sportsbook in both Mississippi and New Jersey.